The State Bank of India is tweaking several features in order to improve customers experience. While some of the features are phased out and replaced by more advanced options, it is also looking to take strides in enhancing digital banking in accordance with government’s vision of Digital India. In the official website it is written, ” Pensioner can visit a nearby CSC center, Bank Branch or any Government office whose details are provided under “locate center” on jeevanpramaan.gov.in and bio-metrically authenticate his / her life certificate in real time by giving his/her Aadhaar number and other pension details related to their pension bank account. After successful submission of digital life certificate, pensioner will get a sms on his/her mobile giving the transaction id. 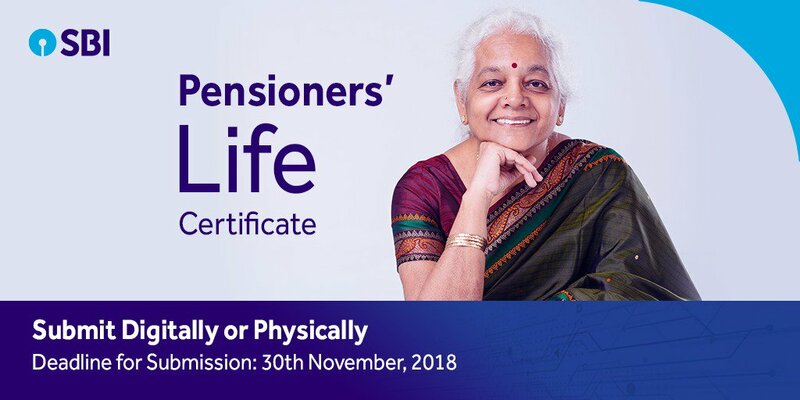 Pensioner will be able to download computer generated life certificate from jeevanpramaan.gov.in using this transaction id for their records. SBI is yet to announce what pensioners who haven’t submitted their life certificates by the cut-off of November 30 need to do. Watch this space for latest updates.